Actvity Summary: Episode 1: Tales of the Resolution! The reader is introduced to the ship and its history of discovery. 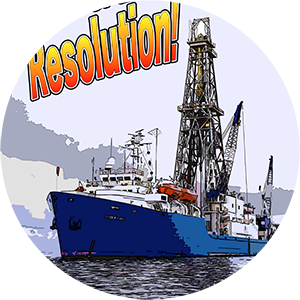 This graphic novel takes place just before the JR was about to undergo a major re-fitting after two decades of scientific ocean drilling. Authored and designed by Carl Brenner from the Borehole Research Group.